Student Feature | Meet Ashley! Meet Ashley, a 22 year old senior studying Marketing and Corporate Relations. This is her second semester as a student business consultant with the CIE. During the fall of 2016, she worked with PMQ Magazine and helped develop a marketing plan for PizzaTv.com. During this semester, she is working as a Team Leader for our client Allyson Best, who is the Associate Director of the Division of Technology Management at The University of Mississippi. Her group will be assisting Allyson and her team in conducting market research and market assessments for their current projects. While at Ole Miss, she has joined several professional and extracurricular organizations on campus. She is currently a member of Alpha Kappa Psi Business Fraternity, Sigma Alpha Lambda Honor Society, the National American Marketing Association, the Student Marketing Association, and Phi Mu Fraternity. In addition to working with the Center for Innovation and Entrepreneurship, she also works with Ole Miss Athletics, as a Marketing and Fan Experience Student Worker, and FreeTextbooks Company, as a campus rep. As a Marketing and Fan Experience student worker with athletics, she assists in contest execution and fan engagement operations and performs social media content and promotional item development. 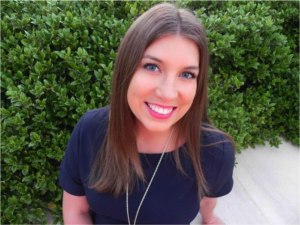 As a campus rep for FreeTextbooks, she not only generates sales through textbook buybacks, but also promotes the company on the Ole Miss campus and help build the FreeTextbooks brand among students. After graduating in May of 2017, she plans to attend law school to pursue sports law in hopes of becoming an acclaimed female sports agent. She is thankful to have been chosen as a Student Business Consultant with the CIE, because she is awarded opportunities that are not available to most.